I just had to pull over and grab a photo of Cowdray Castle on my way home last night; the lighting was very special! Cowdray House (or Cowdray Castle) is a magnificent 16th Century ruin in Midhurst, West Sussex. It was built in Tudor times, and was visited by Henry VIII, Edward VI and Queen Elizabeth. The building was destroyed by fire in 1793. Various efforts have been made to preserve the castle, the most recent being in the late 90s with the help of a Lottery Grant. 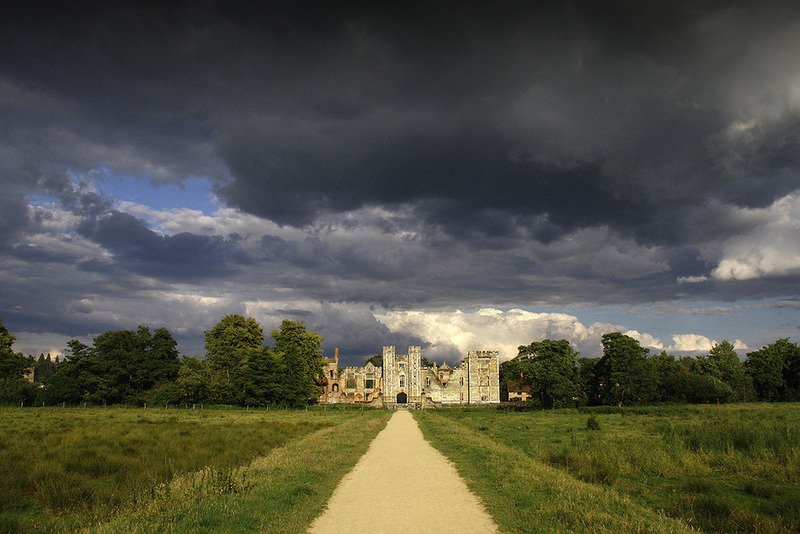 great photo of Cowdray Ruins – sky is amazing!